If you know anything about accounting then its probably that Asset - Liability = Equity or Net Worth. In our monthly update here at Slowly But Wealthy we use this equation to calculate our net worth. However, what different from traditional accounting is that we choose to omit certain items in our assets category. For example, both Thirty Salaryman and I do not include our automobile in our asset. This not because we are too lazy to do a straight line depreciation for our automobile. The main reason is we want to highlight that certain items are not what I'll call "wealthy mindset" assets. In this post, I wrote last year I talked about a similar topic. Here I want to expand on that topic. This is actually a pretty good definition of assets, pay attention to some keywords, "future benefit" and "generate cash flow". 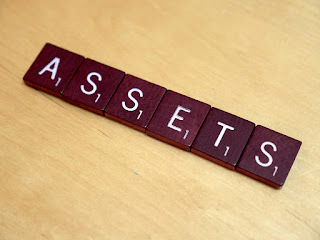 From a personal finance perspective, those two are key when you are trying to understand assets. I have personally further subcategorized asset into these two categories. Wealthy mindset assets are things that either provide future benefits or generate cash flow. Poor man's assets are things that don't. From a wealthy building perspective, benefits are defined as things that will increase your wealth. Therefore, if something will increase your wealth down the road then it's a wealthy mindset asset. Let's talk about Poor man's asset first. Simply put, most of the "stuff" we "want" will fall into this category. Stuff like the latest iPhone or brand name fashion items will fall into this category. Some will argue that most wealthy people spend a lot of money in this category, that's true but in a relative scale, this is usually a very small portion of their asset. Another argument that I often hear is that you need to look wealthy to be wealthy, my response to that is no, you need to be wealthy to be able to look wealthy. These assets do not appreciate over time or generate cash flow and usually depreciate rapidly. Wealthy mindest assets are things like equity in a big company, rental property or anything that will generate wealth. The key for this category is that it has to "generate positive wealth gains", so if you have assets that are not generating any value then it will not be in this category. The key is to have more wealthy mindset assets in comparison to your poor man assets. You want to start using assets to generate more wealthy instead of just trading your time for money. The accumulation of good wealthy mindset assets is the key to becoming financially free.